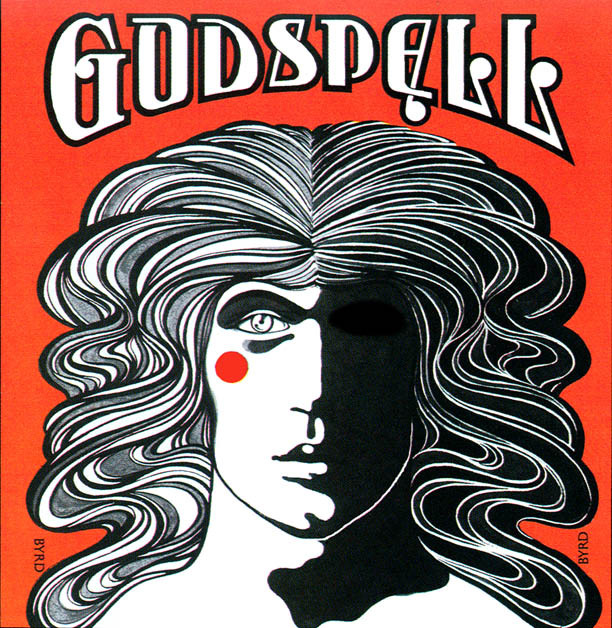 [originally published at Grosse Pointe Today] Grosse Pointe Theatre opens its 63rd Season with the 1971 rock musical, “Godspell” on September 19 with a 2 p.m. matinee at the Fries Auditorium of the Grosse Pointe War Memorial. Performances continue September 23-25 at 8 p.m., September 26 at 2 p.m. and September 29-October 2 at 8 p.m. Tickets are $24. Group rates are available. Call 313-881-4004 for tickets or visit the Grosse Pointe Theatre website for more information. “Godspell” is based primarily on the Gospel according to Matthew. As the cast makes its way through the musical numbers, the audience sees the parables of Jesus Christ come humorously to life. The show also presents the story of Jesus’ last moments, beginning with the Last Supper. The main story of “Godspell” is portrayed in the show’s subtext, in the way the players interact with their leader, coming together to create a loving community. The subject matter is unabashedly religious, but the focus is more on the lessons learned and the love which Jesus spread rather than on the man himself. The cast does comic interpretations of the parables and musical numbers that are at times rousing or lyrical. Songs in the show include the popular sing-along song “Day by Day” and others that span a number of musical genres including rock, folk and vaudeville. The setting for the play is Detroit’s Belle Isle, which was chosen both for its beauty and its urban location. “Godspell” was conceived and originally directed by John-Michael Tebelak as a student project at Carnegie Mellon University. The music and new lyrics are by Stephen Schwartz (“By My Side,” music by Peggy Gordon, lyrics by Jay Hamburger) “Godspell” was originally produced on the New York stage by Edgar Lansbury / Stuart Duncan / Joseph Beruh. 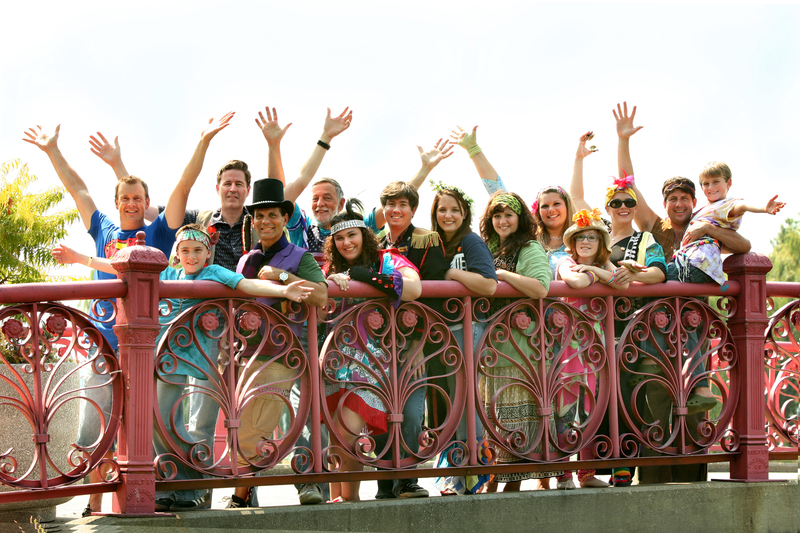 The cast and crew for this version of “Godspell” is made up both adults and children, whose ages range from 9 to 55. Don Bischoff of Macomb Township plays Jesus. His son Kyle Bischoff is also a member of the cast. The rest of the ensemble includes Angelina Bufalini of Grosse Pointe, Sarah Dickinson of Pleasant Ridge, Kevin Fitzhenry of Warren, Frank “Scott” Davis and Eric Swanson of Ferndale, Patrick McKeever of Grosse Pointe Farms, Kate Allam of Clinton Township, Stephanie Elaine Samuel of Windsor, Ontario, Jerry and Quinn Nehr of Grosse Pointe Woods and Brittany Michael, Janine Lozon and Peter Di Sante of St. Clair Shores. “Godspell” is directed by Donna Di Sante of Grosse Pointe Farms, with music and vocal direction by John Dickinson of Pleasant Ridge and vocal assistance from Eric Swanson. Arlene Marie Schoenherr of St. Clair Shores is the choreographer and stage manager. Gwenn Samuel of St. Clair Shores is producer. The set design is by Jesse Villegas of Grosse Pointe with technical direction by Bill Tuthill of Grosse Pointe Woods. Eric and Lisa Leszczynski of Grosse Pointe Woods are doing the lighting. Nancy Bashara of Grosse Pointe Woods and Beverly Dickinson of Pleasant Ridge chair properties and set dressing. Mary Kay Sogge of Harrison Township has created the costumes and Judy Allam of Clinton Township is doing the makeup. Sound is by Ed Thomas of Centerline. The scenic photography slide presentation is by Erin Ann Conway Di Sante of St. Clair Shores.